As the Clinical Director of SkinViva, Dr Tim Pearce is a fully-qualified doctor specialising in non-surgical aesthetic rejuvenation. He has over 5 years' experience in cosmetic medicine and has performed thousands of treatments. He is also a trainer of Botox and dermal filler injection techniques to fellow clinicians entering the aesthetics industry. Having graduated from the University of Leeds with Bachelor of Science in Human Physiology and later the University of Warwick with Bachelor of Medicine and Bachelor of Surgery, he has undertaken training in general surgery and is a practicing GP in the Manchester area. A member of the British Association of Cosmetic Doctors, Dr Pearce regularly attends international conferences and master classes on advanced aesthetic techniques and procedures. Dr Pearce's artistry in creating effective-yet-subtle results is combined with a gentle, ethical approach. This means that - unlike many of his peers - he won’t sell you treatments you don’t need or want. Rather, his focus is client-led and designed to increase patients' self-confidence while enhancing her or his own individual appearance. Dr Pearce’s expertise in wrinkle relaxant injections, dermal fillers such as Juvederm ULTRA, Radiesse, Teosyal, Restylane, Beletero and skin resurfacing treatments has garnered him a loyal UK client base. Lindsay graduated from salford university in 2006 obtaining a BSc (Hons) in podiatry. She has worked in the NHS as a podiatrist since qualifying. Lindsay is also a high risk foot specialist, and a clinical specialist in the management of the high risk diabetic foot working in the diabetes centre in Aintree. She has also completed a masters module in the management of the diabetic foot as a long term condition. Lindsay has also worked in the private sector in a busy podiatry clinic in Warrington, she has been working their for over four years. Also known as 2D-6D lashes, this advanced multi lash technique creates a full, high impact look, whilst still feeling and looking very natural. Ultra fine lash extensions are fanned out in each session to create a fluffier, fuller, lighter feeling set of lashes. Dermaplaning is a safe and highly effective physical exfoliation. It removes the top most layer of dead skin along with any fine vellus hair (aka peach fuzz - this does NOT mean that hair will grow back thicker and darker) As we age we get more hair on our faces and makeup and products often get caught in them. Dermaplaning removes them so that products are absorbed better into the skin and makeup also sits better on the skin * It evens out your complexion without any downtime, It eliminates fine wrinkles, It removes upto 3 weeks worth of dead skin cells, It gives you an awesome glow! I am a qualified hairdresser and makeup artist, i specialize in tv, media fashion and SPEX ( special effects makeup.) I enjoy doing all different types of hair and makeup styles. Styling hair and making people look and feel amazing, is one of the best feelings in the world. When i see people feelgood about themselves, knowing that i was part of the process is one of the best feeling in the world. Makeup has been a passion of mine for as long as i can remember. Learning new makeup techniques inspires me to try new products and grow as an artist. Emma is our resident makeup artist and is in the salon every Friday and Saturday. Jon is about to complete his Advanced Diploma in Sports Therapy and Rehabilitation. Sports therapy isn't just for athletes or sport injuries, its for everyone. Many of us live day to day with aches and pains that can often be resolved. To put it simply it can help you have a better quality of life. 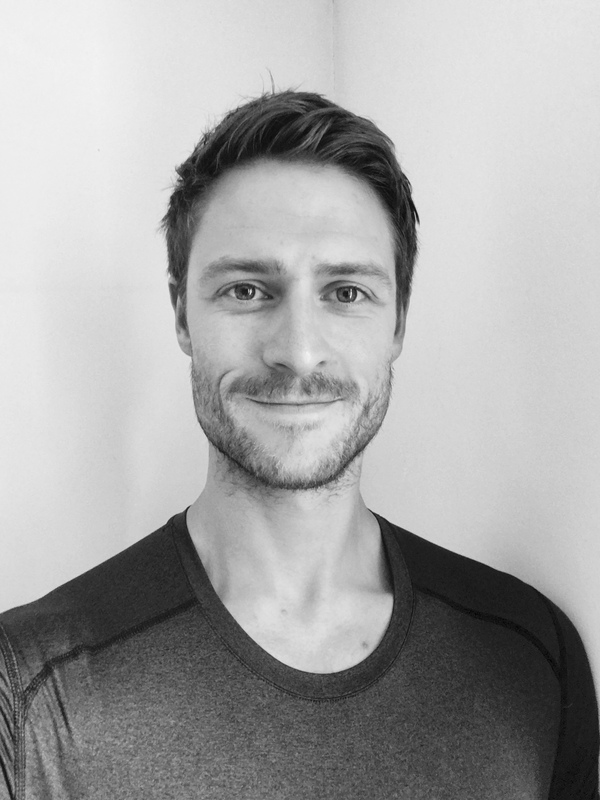 "I originally trained as an actor at the London Academy of Music and Dramatic Arts where I learnt the importance of your body through studying Alexander technique, dance and movement. 'Your body is your instrument' was a phrase often used and one that still resonates with me today. My view is we are given one body, and we have to move whether we like it or not, walking, standing, sitting, breathing - it is all movement. The choice we have is how we move. I believe quality of life = quality of movement and my aim is to help as many people as I can to move pain free and enjoy their lives." Jon Is available Wednesdays and Saturdays.